TolaData is an end-to-end monitoring & evaluation software solution built for the not-for-profit sector that applies thwe latest from the tech industry to human-centred design concepts. We’ve got a lot covered when it comes to managing data, with the following features and a whole lot more. 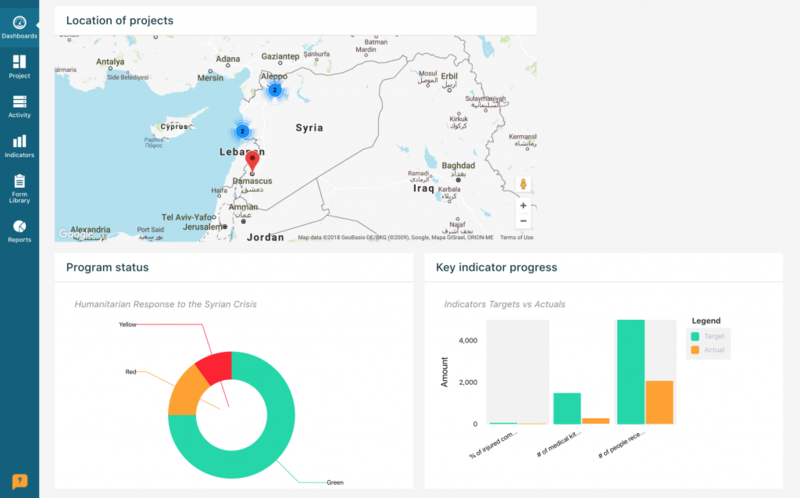 An overview of our dashboard with mapping features and program data displayed in charts. Like what you see so far? Then sign up below for the full TolaData experience to find out first-hand if we’re the monitoring & evaluation software you’ve been looking for. Starting from € 39 per month, a TolaData subscription gives you access to our full suite of features, which includes self-paced learning materials as well as online webinars, training, and support. TolaData cleans and consolidates large datasets of varying qualities and formats to save you time and reduce the possibility of human error. Create custom forms that draw on past programs and best practice examples, which you can store in our form library to share and reuse with data collectors.